I have to do a workshop in a couple of weeks about story. It’s basically what we writers talk about all the time. Story. How it works. What are the elements of it? 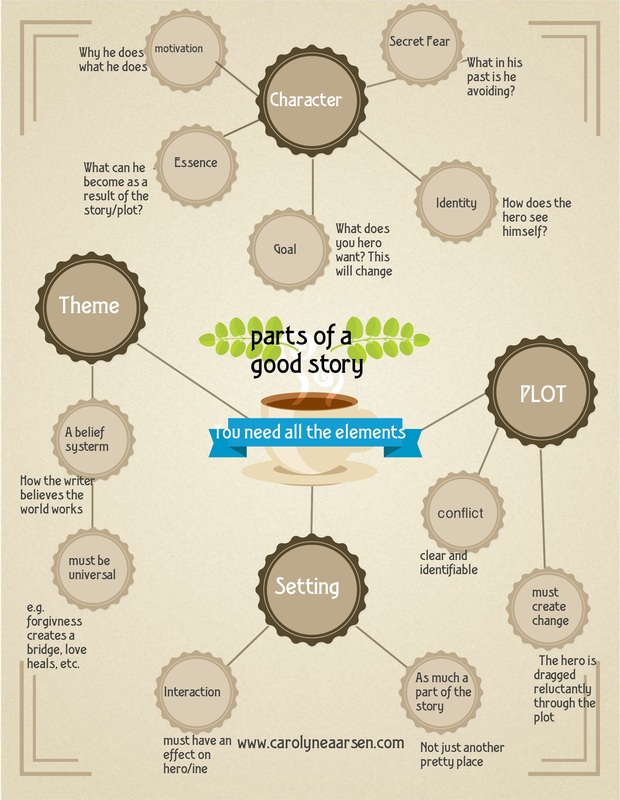 What makes a good story? What makes a bad story? (sometimes just as important to know). How can I make my story different? These are all the things that have been roiling through my head as I get ready for this workshop. But it’s been hard to focus. I have been writing stories for almost twenty years now and I was struggling with how to distill the whole concept of story into a 45 minute talk. Now I am a champion procrastinator so it’s been a bit of a slog to get this workshop stuff together. Every now and then, however, panic strikes. Like today. When I finally buckled down and pulled together all those niggling little jobs that have been hanging over my head the past couple of months and got them off my to-do list before I get this workshop done. I’ve got a few more things (like writing this blog post) and then I can move onto the big job. So in the spirit of to-do-list-off-crossing I thought I would kill two birds with one stone…… (have you ever really wondered if anyone has ever accomplished this? And seriously, why would you want to kill one bird, let alone two? And with a stone?)….. and get this blog post done at the same time. Now I don’t know about you but I’m visual. While I’m riding the cliche train, I may as well say that a picture is worth a thousand words. (My editor, however, doesn’t seem to think so. She prefers the 1000 words x 60) But I thought you might like a peek into the mind of a writer when she or he is thinking of story. So as I was pondering and procrastinating on this very subject, something that entailed a sudden urge to clean my desk, I found some papers which listed fun sites for writers. Now I’m all about the fun. And the procrastinating. So I jotted down the sites and visited them all. ALL. Research you know. In the process, I found a very cool site that allowed you to make your own infographic. It’s called Easelly and it’s easily the most fun I’ve had putting together workshop-type stuff since I discovered the cube flip transition on Power Point. And, even better, as I filled it out I found a way to bring story down to a more manageable explanation. Without further ado and non-sequiturs, here is the infographic that I adapted to my peculiar how-to-write-a-story-workshop needs. It was originally about food but I think I managed to make it mine. Now, how cool is that? In one glance you can see what a good story requires. Now it’s simply a matter of filling in the blanks, putting it all together and voila, what do you have! See, it’s not that simple. But sometimes it’s a good exercise to bring things that I know in a broader sense down to the basics so I can explain it better. And I know this infographic doesn’t cover everything, but I think it’s gives a good idea of the basics of story in a glance. Plus it was fun to do and it helped me narrow my own focus on story and what it entails. So if you are inspired by what you see here, share it! And let me know if you think there’s anything I should change because I know there are some writers and would-be writers out there reading this post and if there’s one thing writers love to do is ……edit…..someone else’s stuff. P.S. I do actually get down to real writing from time to time. If you want to find out more about me and my books you can check out my website and if you are really hooked, you can download a free copy of a book. All you have to do is give me your name and e-mail address, first born child (toilet trained preferably), a fly swatter (I lost mine) and the secret to how they get the caramilk in the caramilk bar. (though I prefer to learn how to make Kit Kat’s. Love me my Kit Kats). Actually I’m kidding about the child. And the other stuff. But not the name and the e-mail address. That I NEVER kid about. Carolyne Aarsen, originally a city girl, was transplanted to the country when she married her dear husband Richard. While raising four children, foster children, and various animals Carolyne’s résumé gained some unique entries. Growing a garden, sewing blue jeans, baking, pickling and preserving. She learned how to handle cows, drive tractors, snow machines, ride a horse, and train a colt. Somewhere in all this she learned to write. Her first novel sold in 1997 and since then has sold almost fifty novels to three different publishers. Her stories show a love of open spaces, the fellowship of her Christian community and the gift God has given us in Christ. Kit Kats are the best! Four small pieces that don’t make you feel like you’ve eaten a lot. Glad you can use the chart, Jill. Like I said, it’s pretty basic, but it gives a good snapshot. Well designed and informative infographic. If I was still teaching my high school English and creative writing classes, I would use this graphic as a visual to discuss the elements of a story or novel. Now I will use the information to write book reviews and for my monthly Book Club for Foodies discussions. Best wishes as you present this information. Have a great weekend. Happy writing. Thanks Renate! It was fun to do. Made me distill the essence of story down to a picture. I hope it’s useful for you. My stories always hit the ‘mess’ stage Priscilla. Sometimes I think I’ve ticked off all the boxes and am ready to go but once I start writing my character comes to life and not everything fits as neatly as it does. Plus, filling in blanks does not a story make. I enjoyed your post. I love to read, but have never thought much about how the story comes together. I have also enjoyed this blog and website as I have discovered many wonderful authors and stories! Thanks Diana and thanks for stopping by and commenting. It’s always fun to discover new writers. I’m always on the hunt for that as well. Maybe I’ll have to make an infographic on that too! Thanks Lynette! It was fun to put together though making things concise is always a challenge for this very verbose writer! Thanks Val. Sometimes I cut loose and let everything out. Which usually results in run-on sentences and asides and cliches. But that’s who I am. Glad you enjoyed the infographic. That Eeasilly site a bad procrastination place! Really interesting! I enjoyed seeing the pieces of a story laid out that way. Thanks Katy. Glad you enjoyed it. I’m always a sucker for pictures and this was fun to put together. I love the chart, but it’s something I can’t complete until after I’ve written the book. I’m a pantser and can’t figure all that stuff out before I write. Some of it maybe, but not all. Different methods for different people. Some people have to discover the story before they know what it’s about. And I find even when I have all the elements figured out I still have to hold them loosely. Because things can change as the story progresses. Thanks, Carolyne! It’s a wonderful graphic and very interesting and informative! I’m not a writer, but since you said to tell you of things you might want to change, there are a couple of things my weird eyes picked up on: under Goal, change the “you” to “your”, and in the lower left, change “forgivness” to “forgiveness”. Sorry to be nitpicky (is that a word? ), but I thought if you’re going to be using this in a workshop, you might want to change those. Have a fun time at your workshop I know it will be fantastic Thanks for the post! Thanks so much for the edits, Winnie! I’ll for sure do that. And this is the best example of why it’s important to have other sets of eyes on manuscripts and etc. We don’t always see our own mistakes. Kit Kats are a big deal in our house! You are clearly my kind of people, Beth! Great chart, Carolyne. Hope you don’t mind that I saved it. :) And I just ate a Kit Kat in your honor! I hope the workshop goes well, and I’ve already looked up that website. Thanks for all the great information. Blessings! Dear JoAnn, go ahead and use it. Like I said, it’s not definitive but it’s a good capsule. Hope you enjoyed the Kit Kat. You’re making me a bit jealous! Loved the infographic,I am going to save and read in detail. Thanks Linda. Hope you enjoy!